When I watch Shahravar dance, I am transported to another time and place: to exotic lands, spicy scents and multi-layered earthy music. There is magic and mystery in her interpretations, and an absolute excellence of technique. Her performances are always unique and beautiful, which comes from her obvious joy and delight in dancing, and translates effortlessly to the audience. [Shahravar]Shahravar is a native Utahn, heralding from the far distant land of Bountiful. Her only dance experience is Middle Eastern dance, which she began in 1993, and gives her a focus and purity in her belly dancing. Inspired by a performance by Zahirah at the Utah Belly Dance Festival, Shahravar was soon taking lessons from her, and not long after that, was performing as a member of Zahirah’s dance troupe, Desert Orchid. To this day, Zahirah remains Shahravar’s inspiration, teacher and mentor. Shahravar specializes in Turkish, Lebanese, Arabic, Egyptian, East Indian, Tunisian, Spanish and flamenco dances. She is a skilled dancer with zils and veils, and has also mastered the difficult art of dancing with a sword on her head. She strives to be as authentic as possible, though purity of form for the Western audience is always a challenge. 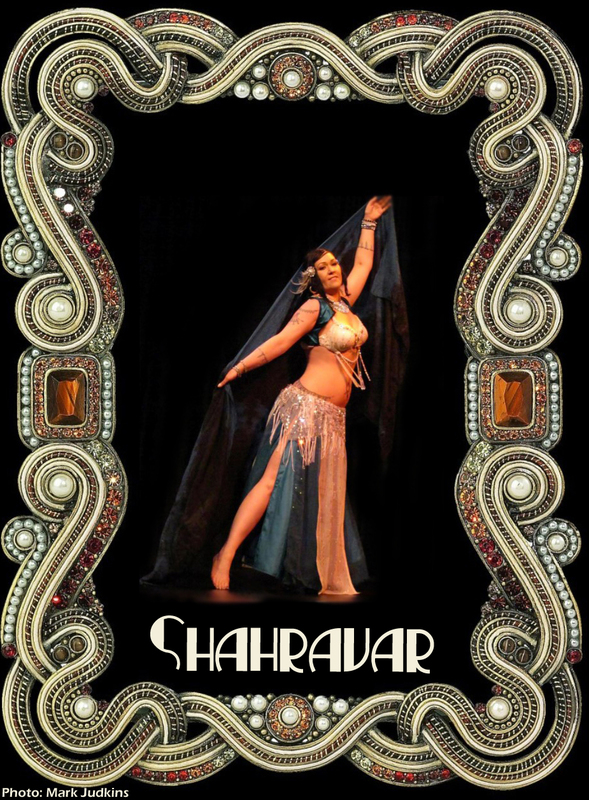 Besides performing, Shahravar teaches beginning, intermediate and advanced bellydancing. She believes that each dancer first requires a definite core of basics, and then they can move on to more percussive and lyrical movements. She focuses on improvisational skills for her dancers as Middle Eastern dance is often performed without choreography. It is with live musicians that the dance really comes alive.